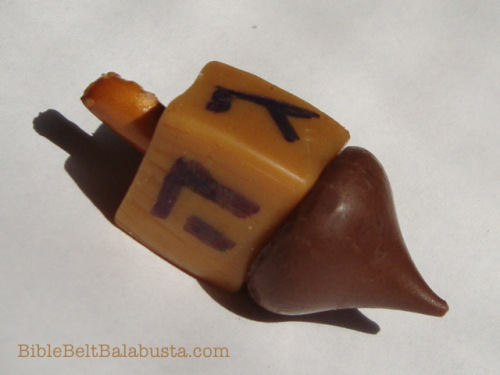 "I give you an edible dreidel that actually spins.... And, because the overall shape of a caramel dreidel mimics a real, four-sided dreidel, it can be used to play the dreidel game. The sides of a caramel are smooth and firm: a surface that begs for the application of Hebrew letters with edible ink. Food-safe markers are better than piped frosting for this dreidel, because frosting will smear when the dreidel drops."